We are proud to lead in elite customer sales and service experience. don’t love it? return within 72 hours! With a dedication to maximize customer loyalty we empower our team to perform at the highest level and provide excellent customer care at every touch point. 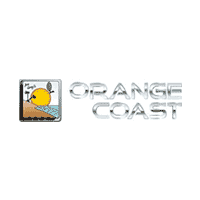 Welcome to Orange Coast Nissan, your Southern California automotive experts! We pride ourselves on bringing you the greatest selection of new and used vehicles, all with exceptional customer service. Whether you’re looking for the style and practicality of the Nissan Altima or to go green in the Nissan Leaf, the entire Nissan lineup is ready for you to test drive. Our knowledgeable sales staff is dedicated to getting you behind the wheel of a car you love at a price that’s right. Once you’ve found your perfect vehicle, our service department is here to keep it running in pristine condition for years to come. From regular maintenance to bigger repairs, our skilled technicians will handle your care with complete care and confidence. We run service specials throughout the year, and also offer an extensive selection of parts and accessories to enhance your drive. Deciding on whether to buy or lease? Our helpful finance department can show you the best options for your budget, while also providing exceptional rates and terms on our selection of cars, trucks, and SUVs. Utilize our payment calculator and value your trade tools to help you find a payment that works for you. From sales to service, our team is driven by six core values that shape the way we do business: loyalty, integrity, teamwork, innovation, training, and consistency. Regardless if you’re shopping for a new car or need service on your current vehicle, we guarantee these principles will provide you with an exceptional experience. Drivers across Orange Country turn to us to Shop Easy and Drive Happy; we look forward to working with you!